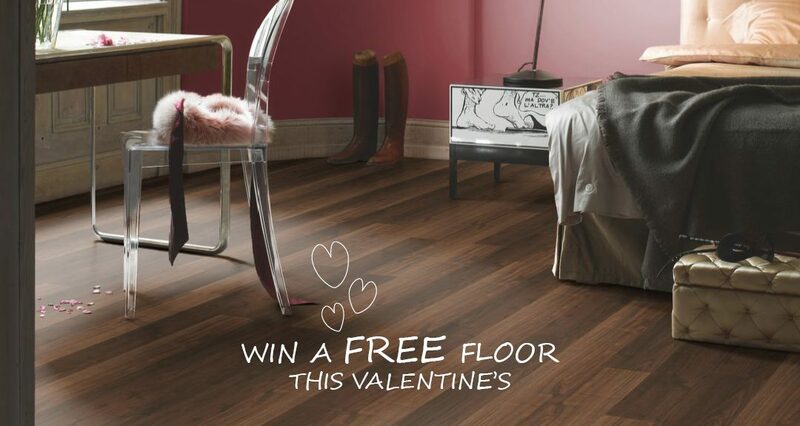 Win a FREE floor this Valentine’s! Warm up your bedroom and enjoy the comforts of a laminate floor with your loved ones! This Valentine’s we are giving away a FREE laminate floor for a bedroom from our German quality brand Parador, complete with skirting and installation. Participation is easy. Simply LIKE OUR PAGE on facebook and TAG your loved one while mentioning YOUR FAVOURITE FLOOR COLOUR from our selection on our competition post. You could WIN that floor! Competition closes on Sunday 17th February, 2019. Winner will be announced on facebook on Monday 18th February. – Competition closes on Sunday 17th February at 11:59pm. Winner will be drawn at random from all legible entries following the steps of entry above, and announced on the Brands International Facebook page on Monday 18th February. Winner will also be contacted privately on facebook. – The prize is the Parador laminate floor chosen by the winner from our selection shown above, up to 15 square metres to be laid in 1 bedroom of the winner’s choice, including skirting, door profile and installation. If any additional flooring is required, this is to be paid for by the client. – The installation date will be agreed by both parties, to find a suitable date for both. The room where the flooring is to be installed must be clear and clean prior to installation. – Should a lifter be required, any permits and costs are to be taken care of and covered by the client. – The prize is not refundable for cash, but it is transferable. Good luck and happy Valentine’s!